Read more, see picture or just book your trip now. 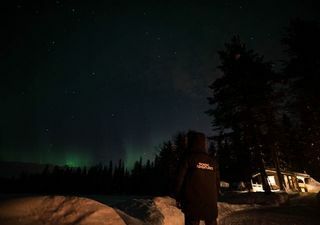 We are about to introduce you to the most original, ultimately fun, and a fantastic way of experiencing the Northern lights. 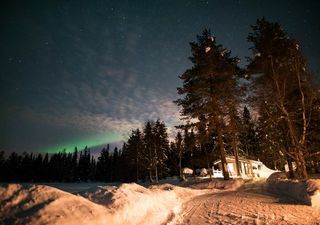 Take a dip in a frozen lake under the Northern lights! 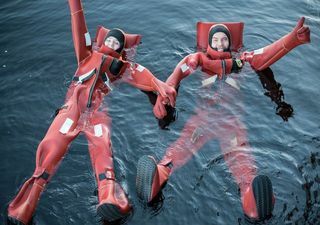 Swimming in an icy lake sounds like a challenge, but once you put on our floating suits, you won't feel cold. In fact, you will feel amazing! 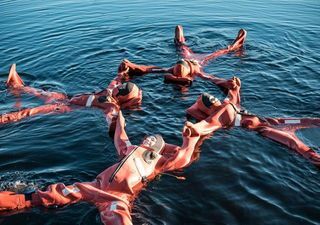 The suits are made of a light waterproof material that will keep you warm and safe.  An easygoing experience - no special skills required! The tour operates in all weather conditions. 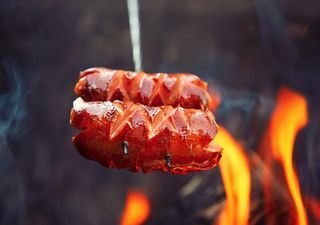 Not recommended for kids under 4 years old. 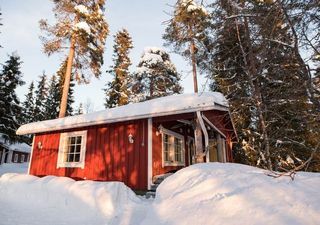 Tours include a pick up & drop off transfer from your accommodation in the area of central Rovaniemi. Time for meeting point and place will be confirmed upon the reservation. Missing the pick-up does not entitle you to a refund of the price paid for the services. You are responsible to be ready for pick up at the assigned pick up point from the start of the pick up time in order to not miss our guides when they arrive to pick you up. All our guides have undertaken our own training program and are highly qualified. Guidance is provided in English, some of the other languages are available at an additional cost. 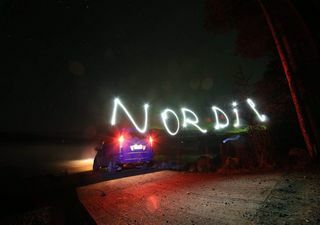 Nordic Adventures reserves the right to make alterations to the programs, price, duration or form of transportation without prior warning. This is also applied to changes in programs due to weather conditions. After a hotel pick up, we will take a 25-minute drive to a private lake where our Northern lights adventure will take place. 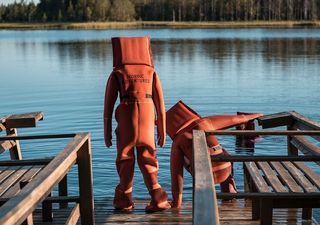 Once we give you some tips, go through safety instructions, and dress you up in our suits, you can take a dip in the icy lake and enjoy the sky above you. Swimming takes place in an icy hole, and we guarantee that you won't be cold! In fact, you will feel amazing. 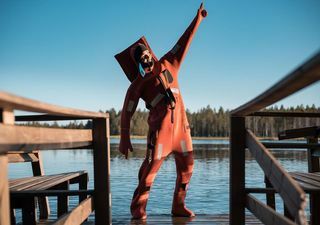 The suits will keep you warm so you can relax and enjoy the starry skies above you. Northern lights are a natural phenomenon, and we cannot guarantee that you will get to see them. Why? Because, nature is unpredictable and as much as we wish to look at the lights every night, sometimes we won't be that lucky. However, we organize this tour from autumn to spring when the chances of seeing Northern lights are the highest! 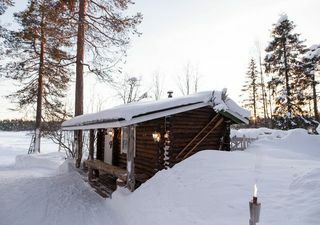 To give you the best Lappish experience we'll serve warm drinks by an open fire, share some snacks and have our cozy wooden cottage available for those who want to snuggle up before we head back. The adventure usually last for 3-4 hours. That's plenty of time to enjoy swimming in the icy waters!